POINT Gym uses cross-training based in functional fitness and natural movement principles. While our classes are challenging, we pride ourselves in fostering an encouraging and welcoming environment rather than an intensely competitive one. EVERYBODY is welcome! We program our classes to support a wide range of abilities ensuring everyone gets the best workout they personally can! We do not train just for the sake of fitness – we want anyone to attend POINT and know it will enhance your performance in whatever your athletic endeavors may be OR just prepare you to tackle whatever everyday life throws your way. We promise it will be challenging, we promise it will be fun, and we promise it will provide you with the practical strength and mobility you need to thrive throughout your life. Additionally, we assure you that you will immediately become part of a like-minded community full of support and motivation that will offer you no other option than success. 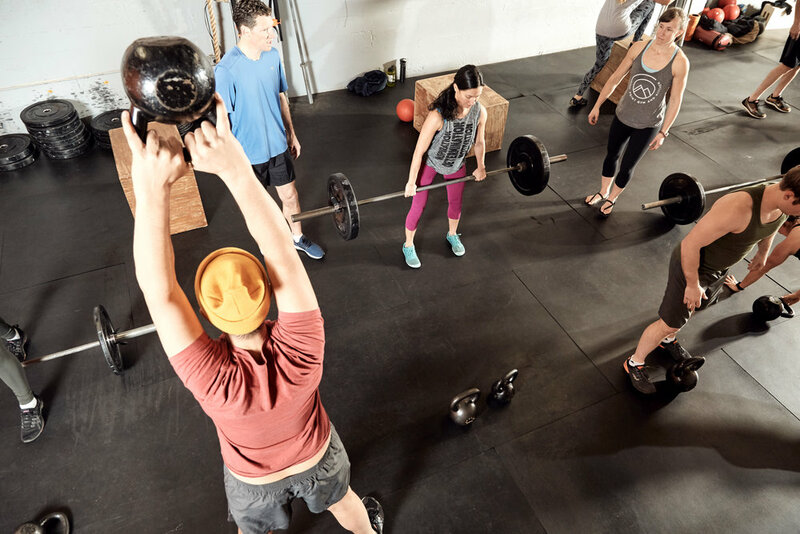 This dynamic class utilizes a variety of equipment, from barbells, kettlebells, and medicine balls to cones, ladders, and hurdles, in addition to bodyweight, plyometric, and playful movements. You will develop strength, agility, balance, coordination, power, stability, and confidence! Our goal is to empower you to try new things in the gym… and in your life! All levels welcome. The practice of MovNat is a Natural Movement fitness method based on what your body was meant to do – MOVE! We are designed to move in complex and adaptive ways. In MovNat we develop strength from the ground up through the range of natural human movement skills - ground movement, crawling, balancing, lifting, carrying, throwing, catching, walking, running, jumping, vaulting, and climbing. MovNat classes are taught by Level 3 certified trainers Kimberly Alexander and Melissa Sher. All levels welcome.